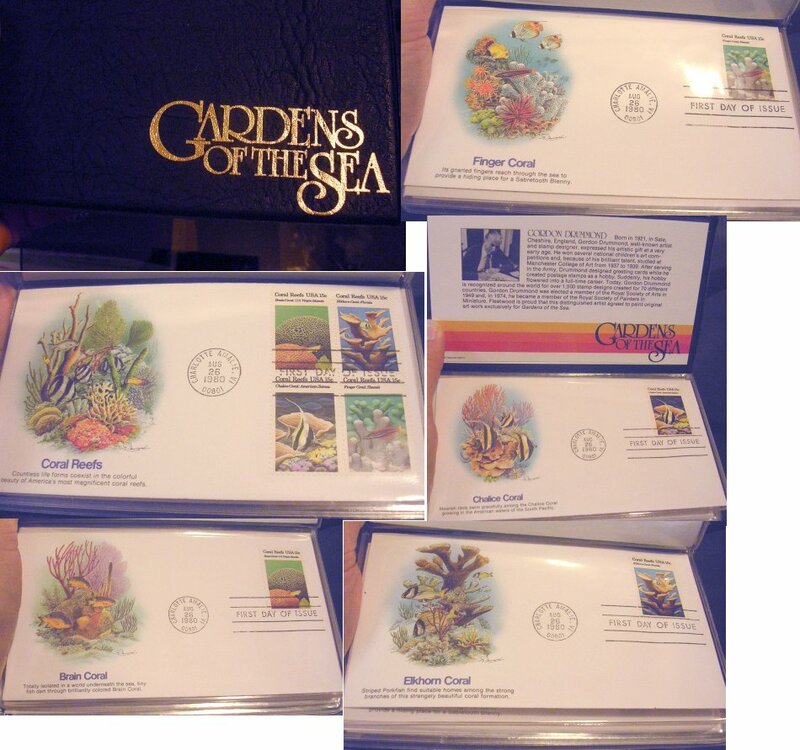 A little binder with First Day covers for the 1980 coral reefs series. Block and singles. Postmarked in Charlotte Amalie, US Virgin Islands.